Simran Bellani » Time To Say: NO! Rani Laxmibai and Goddess Atlanta. When paradigm of their power supremed. As they were ripped of their dignity. Tears of despair were answered with pack of lies. Now we need to stand up. Then the trembling fingers will fist up. And the outcry will be holistic. Well then you will pick up your cell and dial 1091. And then it will be our time. 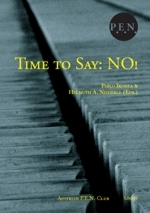 The time to say no!